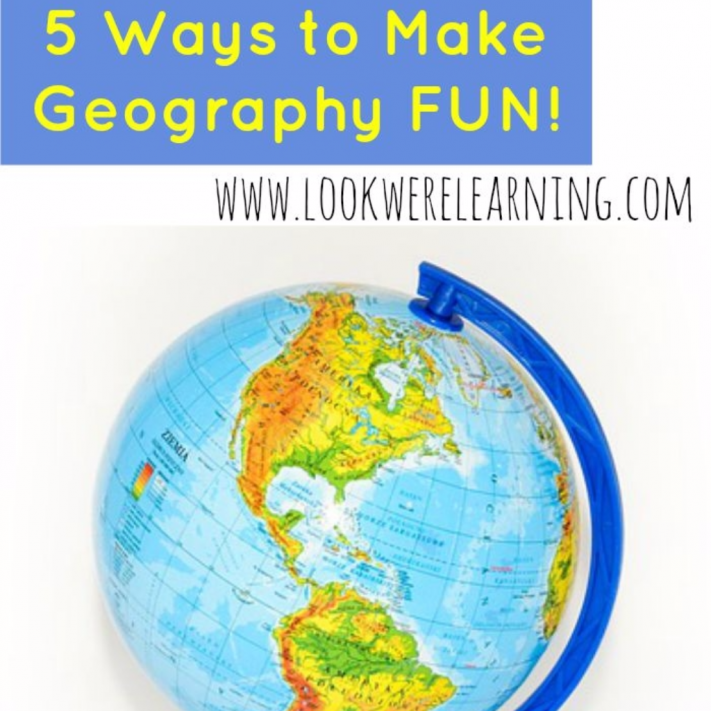 5 Ways to Make Geography Fun - Look! We're Learning! This year, I’m determined to cover more geography with my kids. But the problem with studying geography is that it can be incredibly boring, even for the parents who teach it. When I was in school, geography consisted of my teacher pointing at maps, telling us to read pages in our book, and then quizzing us on what we learned. Gag. But the beautiful thing about homeschooling is that we can teach geography however we like! 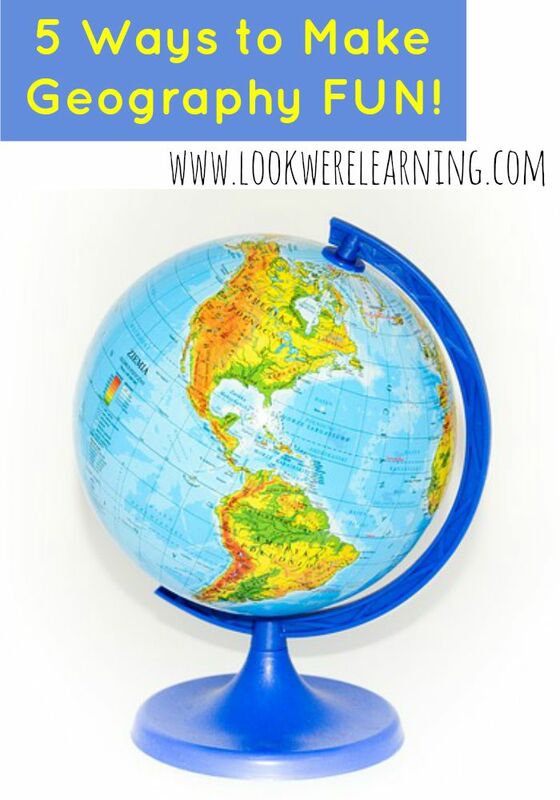 So, here are 5 ways to make geography fun that I plan to use in our homeschool this year! 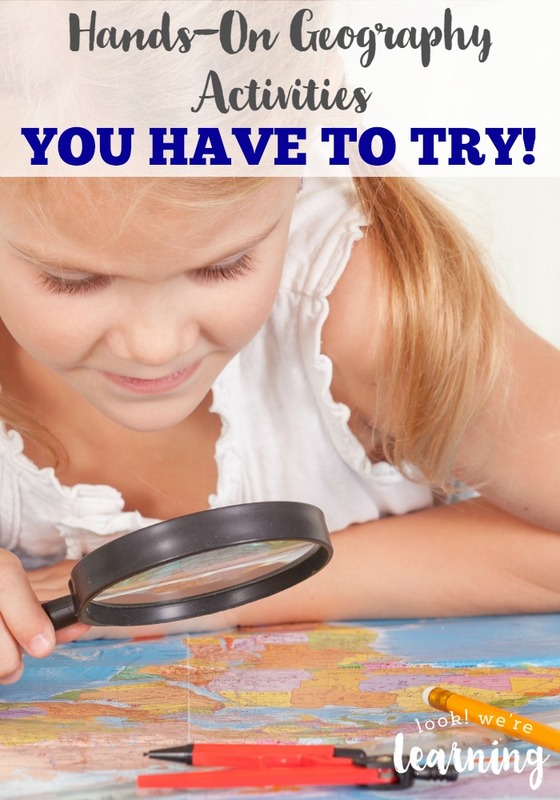 If you like these ideas, don’t miss our list of hands-on geography activities you have to try! 1. Go for a geography walk. In Crystal Wagner’s “Geography Field Guide”, she recommends taking children outdoors and using nearby land features to illustrate larger ones. A local stream could represent rivers, a hill could represent mountains, and so on. That way, kids can “see” geography, instead of just reading about it. 2. Choose an area of the world for in-depth study. Drop anchor in one part of the world and study it thoroughly with your kids. For example, the notebooking pack “Discover Europe” allows kids to get to know the entire European continent by examining the people, culture, and geography of each country. Kris Bales’ book “Hands-On Learning” describes a ton of ways you can take geography learning off the page for your kids. Making papier-mache models, cookie dough maps, and learning centers are just some of the suggestions she gives that can make geography more fun for students. Adelien Tandian’s “Geography Notebooking Pages” are perfect for helping kids organize what they learn. As you cover your lesson, you can have your children fill in the basic facts of each region. After completing an area of the world, children can use their notes to write a report or complete a diorama! 5. Make a part of the world into an ongoing series. Taking another cue from Kris Bales’ book, we’ll be having Fifty State Fridays with our kids this year! 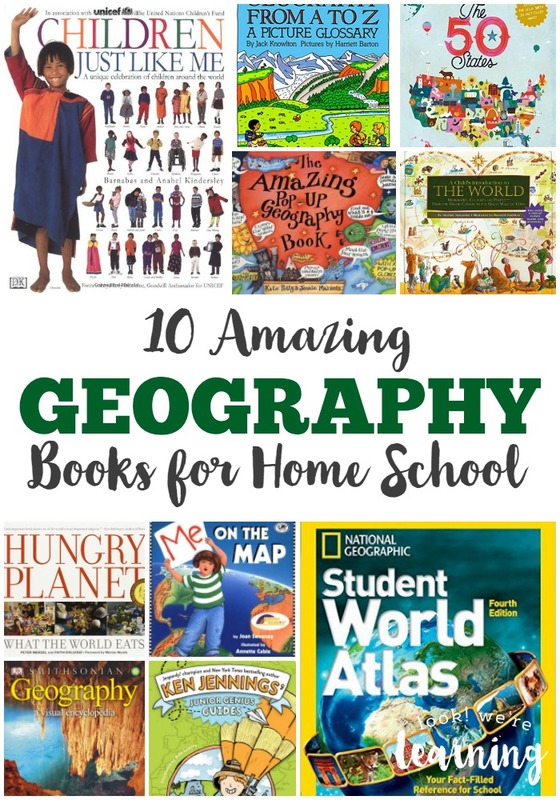 I don’t want to give away how this is done (seriously, read her book), but when you make geography into a regular series, it’s much easier to get everyone excited for your upcoming lessons. Do you have any ways to make geography fun for your kids? Share them in the comments! 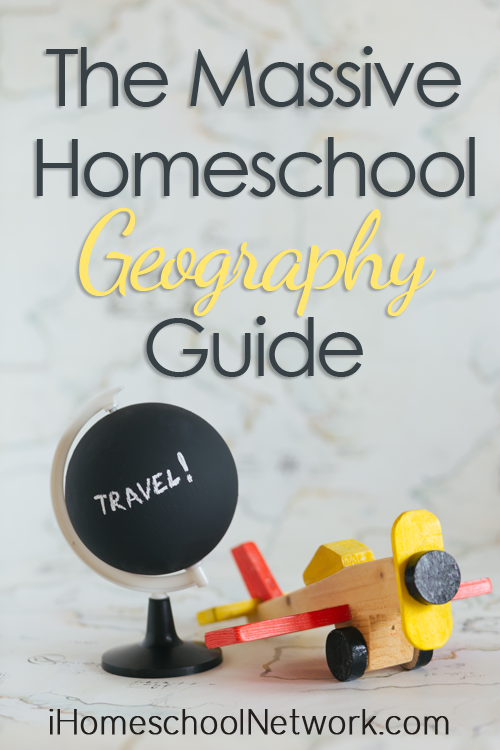 Check out these other suggestions for teaching geography in your homeschool! Want more geography ideas? Follow my Geography for Homeschoolers board on Pinterest!